LEGO plus lorries! The ultimate board book if you’re into massive motors. We are hooked. Speedy rescue trucks. Diggers working on construction sites. Litter lorries picking up trash. Parcel vans making deliveries. 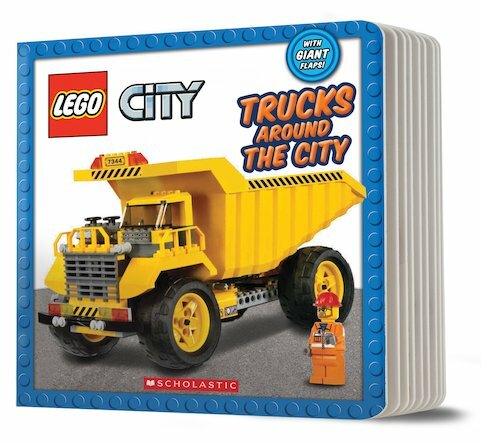 LEGO City is full of sturdy trucks which help the city to run. Take a close-up look at all these vehicles and the jobs they do. Best of all, check out awesome colour pictures of these LEGO-built trucks.